T"was the week before Christmas and all through the house-our quilter was piecing, quilting and binding. Is this a familiar scene? 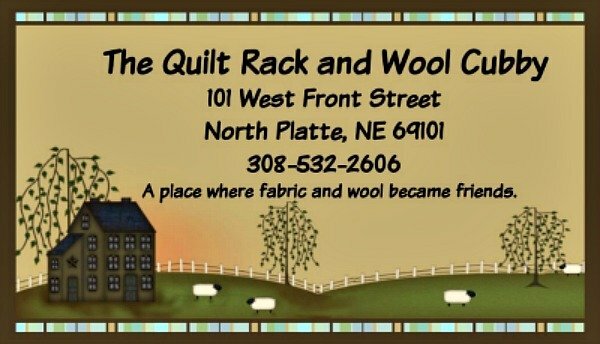 A gift certificate would be a great gift-or how about a new sewing machine. Janome makes top-of-line machines for even the most discerning quilter. 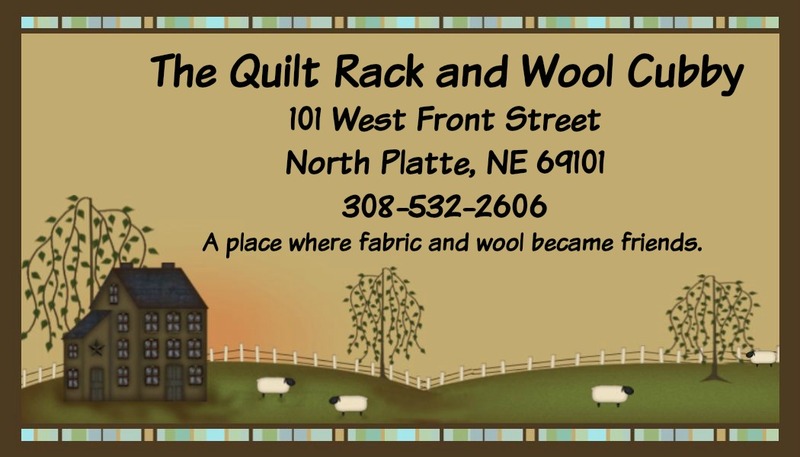 Our fabric inventory is extensive with everything from reproduction, batiks, flannels and more. Specialty rulers are abundant and wool in every color. We really are your one stop shop this Christmas Season. All classes will be held at the shop. Lunch and snacks included. 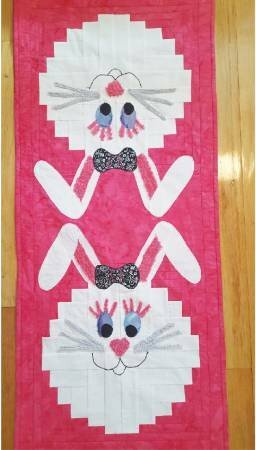 Kits available from instructor-or purchase supplies and patterns and from us. No sewing required for class. This is a new design "Peppermint" I must do this one! create your bunny. Pattern included in class fee. Valentine's Day. No special tools required! This is just a start of our upcoming classes. Check our class section often for newly added classes. One Crazy Sister Club designed by Janet Nesbitt. 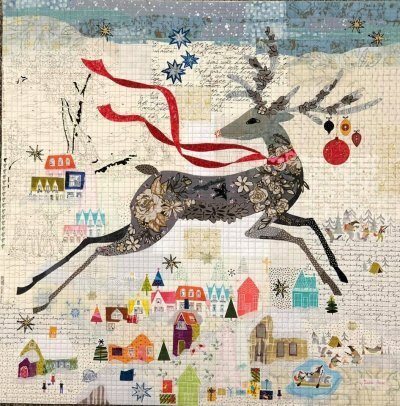 There are 8 simply adorable and crazy projects included in this club along with a bonus 9th project that can be made with leftover blocks from the previous projects. Our club fee entitles you to the pattern emailed to you each month beginning mid January through September. You will also receive a 10% discount on any fabrics or kits purchased for your projects. Online orders will receive a discount code each month to purchase supplies-it will be included with your pattern download. 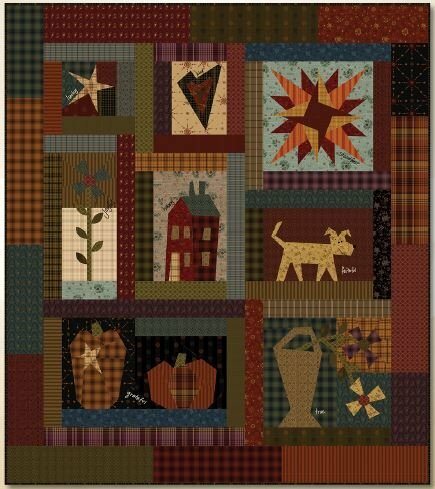 Pick and choose which projects you would like to make-or only make the Grand Finale quilt-Crazy Good Life, the choice is yours. We will be stocking most recommended fabrics-or chose your own color combinations. We know you will have a "crazy" good time! If you would be interested in a monthly class to learn the techniques for each project for a small fee-please let us know. 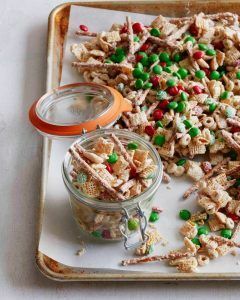 In a large bowl combine the Cheerios, Chex, Pretzels and m&m’s. Mix them up a bit, making sure that everything is evenly distributed. Meanwhile, over a double boiler, melt the white chocolate according to the directions on the package. Once the chocolate has melted and is a smooth consistency, drizzle the chocolate over the cereal mix and combine with a wooden spoon or hands. Make sure all the cereal is covered in chocolate. If you need to melt the extra white chocolate to cover all the mix then go right on ahead! Once the entire batch has been combined, lay it out to dry on a large sheet of parchment or wax paper. Let dry for 1 hour so the chocolate is cooled and hard. Break it up into medium pieces and store in an airtight container in the fridge or freezer. Don't forget to follow us on Facebook and Pinterest for more news and great ideas.